My electrical engineering education at the University of Washington back in the late 1970s was long on theory and short on hands on experience. Hence it wasn’t until recently, when I started to fool around with electronics, that I needed to know which way on a transistor was up. Yeah, pathetic, I know. Especially since while I spent much of my college years almost in tears, grinding out partial differential equations to perform circuit analysis that is now performed instantly by inexpensive PC software, a bunch of geeks who never went to college jump-started the personal computer revolution thanks to their hands-on experience as electronics technicians. There’s a lesson there somewhere. Too bad I don’t have a life to live over again. So you’re wondering, “Why didn’t you just look at the back of the package instead of online?” Well, my first transistor was cannibalized from a Certain Microcontroller Kit (not an Arduino) and the transistor came in a clear plastic package with no information whatsoever. So I looked up the pin configuration on the internet. And from then on, I assumed that the incorrect information was correct, so I didn’t bother to look at the back of the information-rich packages when I did buy more transistors. 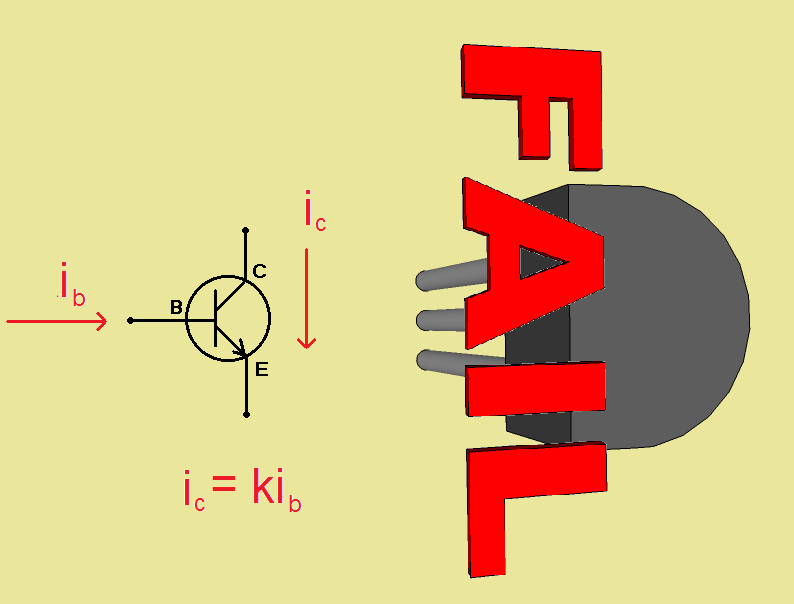 Now, since I no longer trust my aging brain to rotate drawings in three dimensions, I’ll let Sketchup do it for me, and then I’ll provide a transistor symbol for illustration. 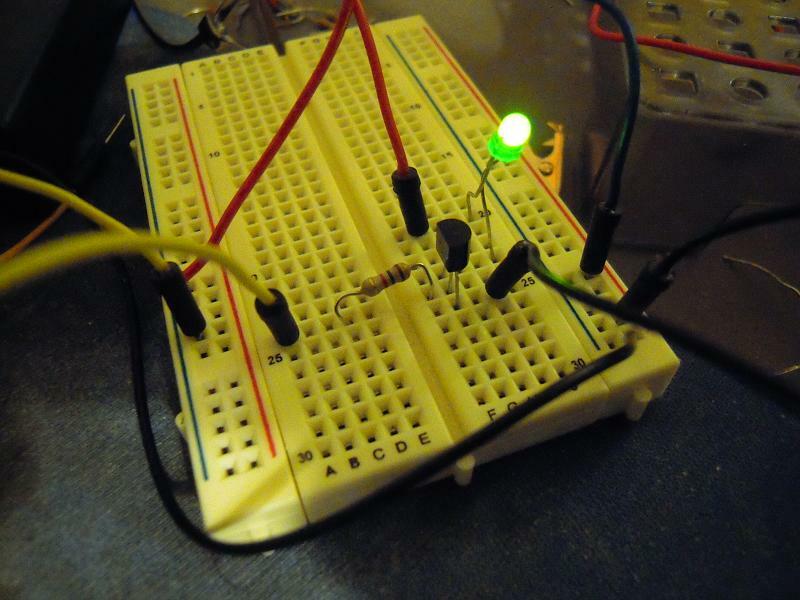 This is how it should appear when you’re looking at it on a breadboard. The memory trick I’m going to use from now on to remember this is that when the transistor case is oriented so that it resembles a ‘C,’ the collector pin is on top. Well, according to a technical forum on the internet (technical forums being about the only place on the internet where reliable information is to be found), transistors work even if they’re installed backwards! “Nah,” I said. But it’s true. 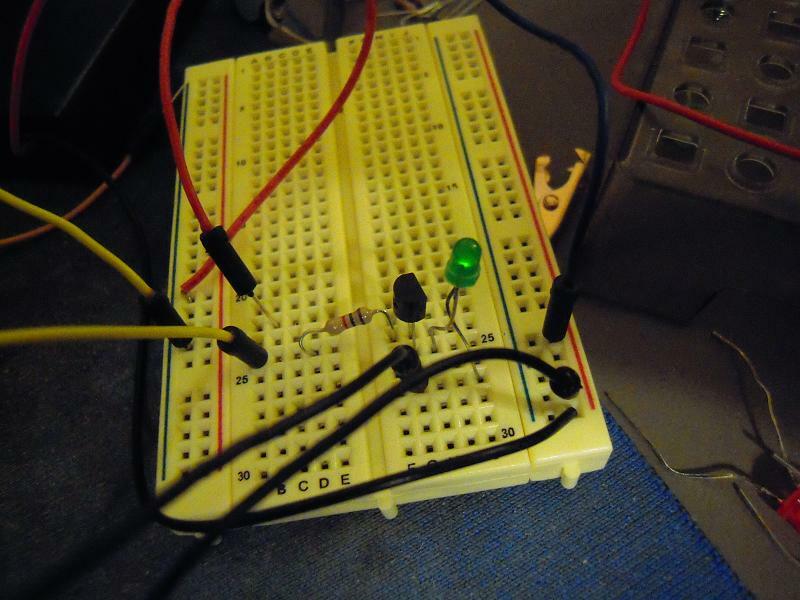 So I made a little test circuit which allows current to pass through an LED and transistor (see photos below). 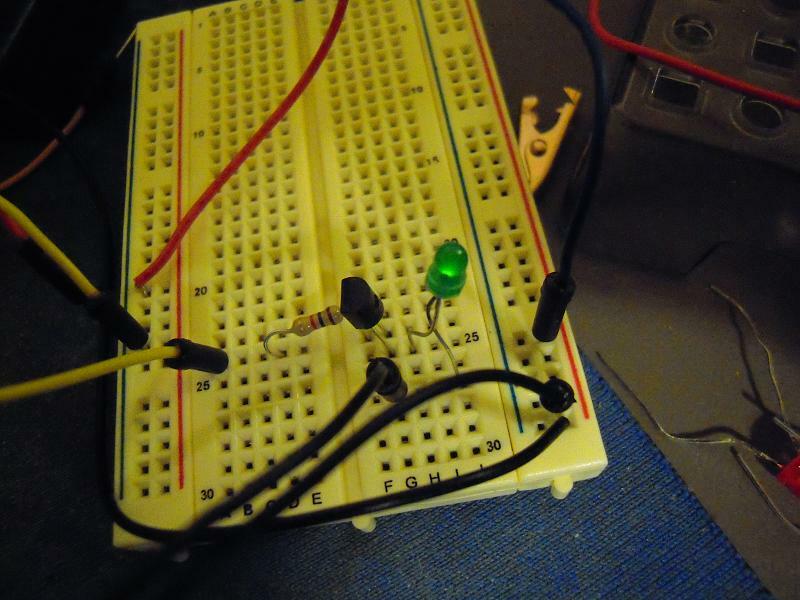 The LED lights to show that the transistor is ON. And you’ll notice, that’s how it looks in my crane video (which I’m going to update, BTW). And you’ll also notice, the LED is a-shining! So yes, Virginia, transistors do in fact work when they are correctly installed. You know, for all the bad-mouthing hardware gets, it’s more forgiving than software. You forget a parenthesis while writing a Processing sketch, and the IDE lets you know about it. But maybe such nitpicking is a good thing. You see, there is a price to be paid for installing one’s transistors backwards. It turns out that the current gain (ie, the ratio of collector current to base current) is much less. I will now have to wonder if maybe the Arduino-to-crane interface would have worked with 1K resistors if I’d had the transistors installed correctly. Something to think about while I update the video. This entry was posted in Uncategorized and tagged basic robotics, electronics, transistors. Bookmark the permalink. 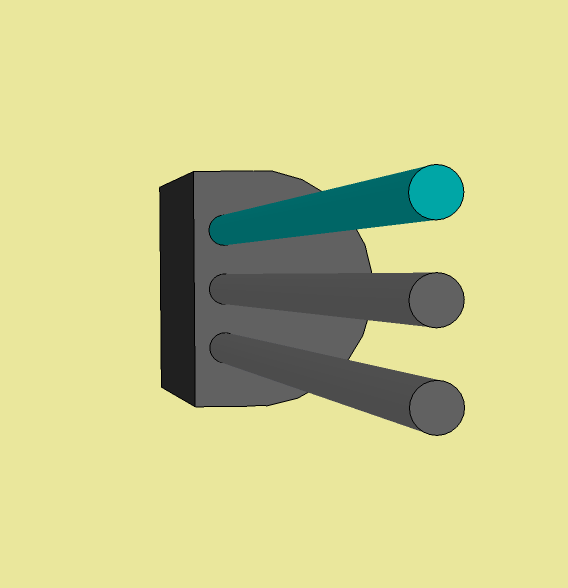 Hi, nice 3D model of a transistor. Let me point a few things and please forgive my english. 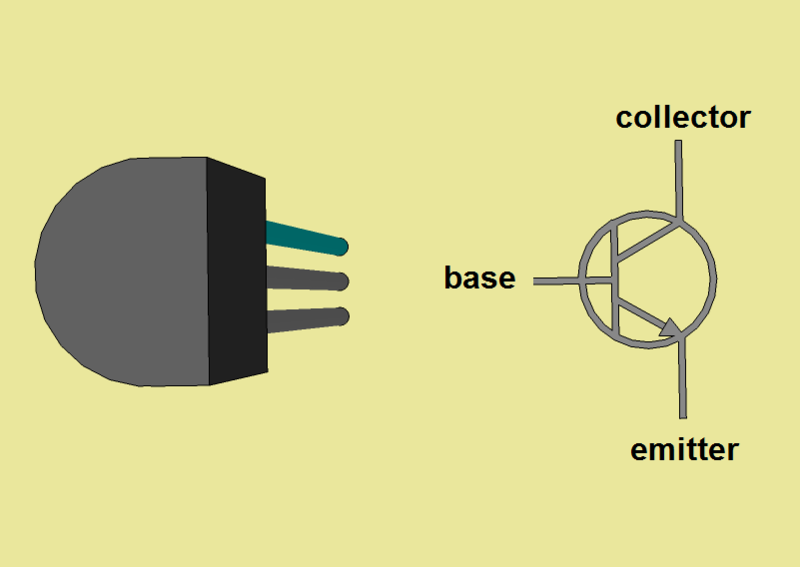 2) A transistor has 3 operation modes: Forward active, Saturation, cut-off and inverse-active. 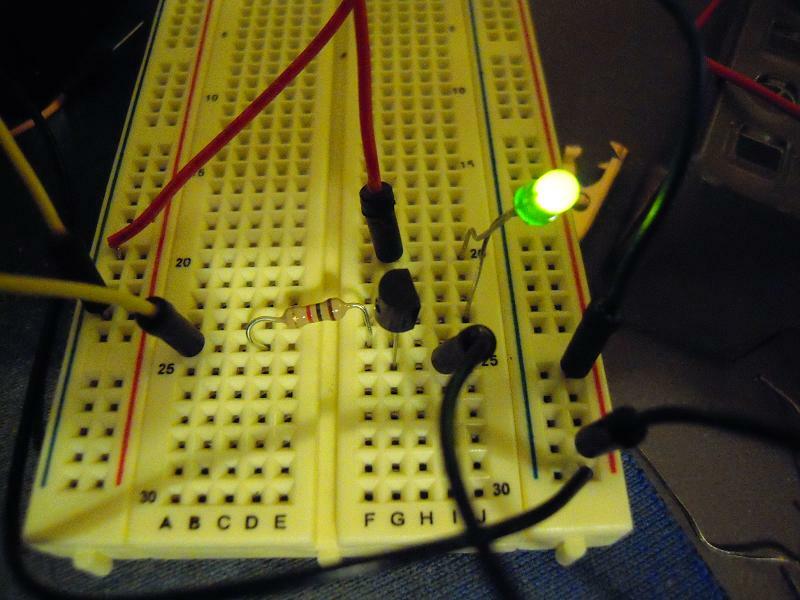 every mode can light a LED (well, not cut-off, of course!). it’s possible that you are using the transistor in direct (forward) active in the “correct” configuration and in inverse active in the “dumb” configuration… i’m guessing, maybe later i’ll analyze more carefully the two configurations. 1. Yes, I’m showing a TO-92 package here and the rules are different for other types of transistor packages. A TIP31C package looks very different, of course (http://www-ece.rice.edu/~jdw/figs/tip31.jpg). It’s flat on both sides and the pinout is base, collector, and emitter — all very logical and consistent, which I like. But it is different than a TO-92 package, so that eliminates confusion. 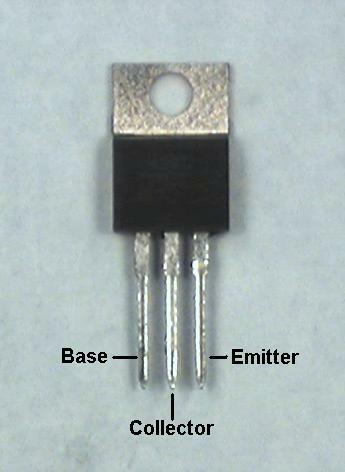 I would assume that the most common TO-92 NPN transistors use the ‘Case 1’ pinout configuration. It would seem like a no-brainer to move toward standardization in same-package pinout configurations, but perhaps there are legitimate design reasons why this isn’t so. So, what have I learned today? 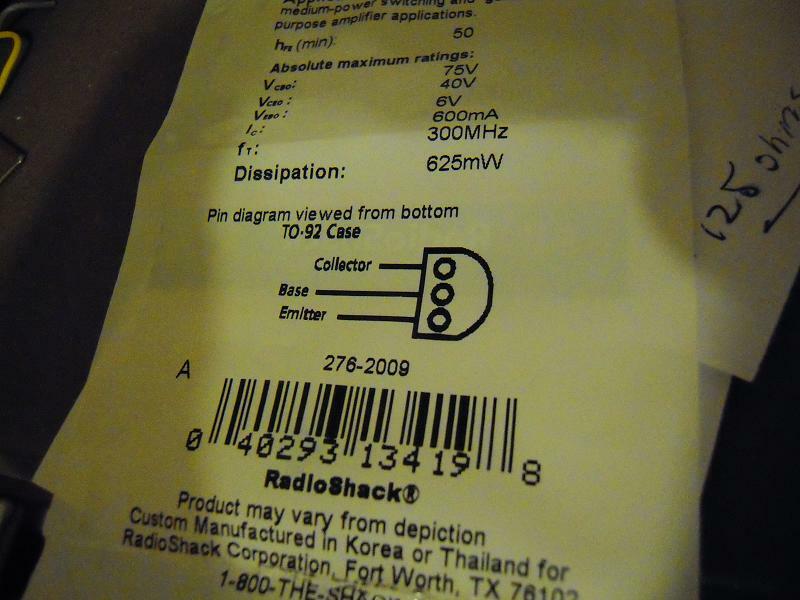 The general rule is always to check the data sheet or, in the case of Radio Shack components, the picture on the back of the package. Now that was easy! However, I agree with you here in that I think it would be wrong to say, “The transistor is in the ON state,” because a transistor has more than one state in which it can be considered to be turned on. It would be like saying, “The tourist is in the European country,” which would absurdly imply that there is only one country in Europe. I don’t speak any foreign languages, languages are hard for me to learn, so I have great respect for anyone who makes the effort to learn mine. Thank you.